The holiday season is a time of magic and wonderment, but if you are using the same decorations year after year, it is easy to become uninspired. This year, take a look at a few ideas from celebrity designers that will rekindle your desire to transform your home into a winter wonderland. 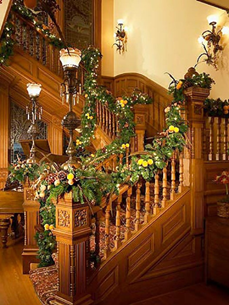 From wreaths to Christmas trees, many people opt for artificial greenery in their home during the holidays. 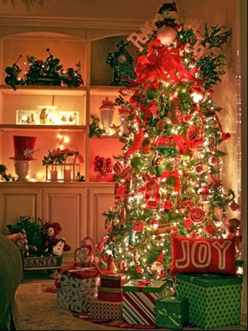 Artificial decorations are easy to store and decrease the expense of buying real decorations every year. However, the big drawback is that they lack the natural scent and unique variety that you find with real trees and wreaths. Get the best of both worlds by weaving in some natural elements with the artificial. Designer Tobi Fairley recommends adding in-season citrus like lemons, tangerines or oranges. A more traditional alternative could consist of magnolia leaves, fir branches and pinecones. The fresh elements will add a wonderful aroma, and enhance the overall colour and contrast of your decorations. Garlands pack a big punch of holiday festivity. 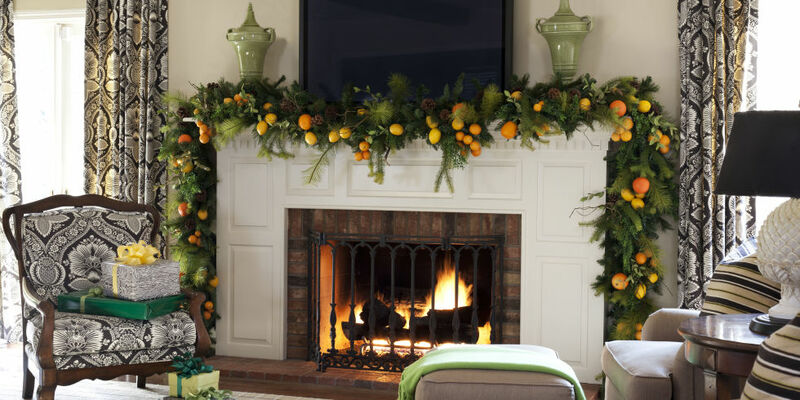 When added to any room,this greenery provides a quintessential holiday look, so the more the merrier! Garlands take up a very small amount of space and are a child-friendly decoration. 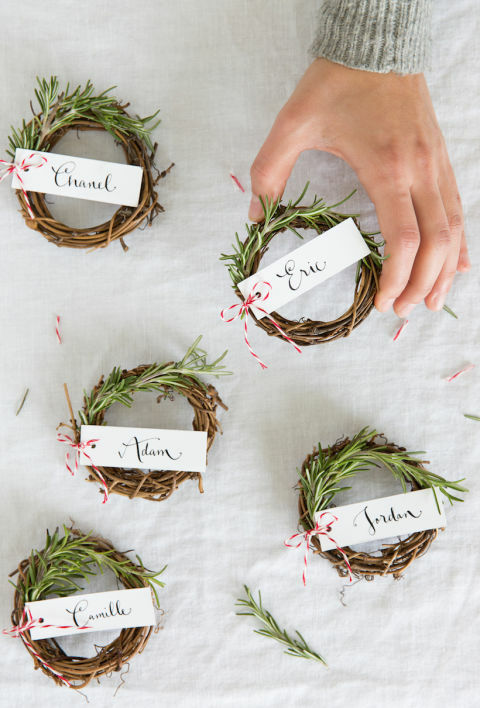 CeCe Barfield Thompson recommends tying two together to make one large garland. Great holiday memories are created when the atmosphere is just right. Using the best lighting to create an aura of warmth and holiday cheer can truly take your holiday events to the next level. Whether entertaining for a small and intimate group or hosting a large holiday party, Scot Meacham Wood recommends dimming any bright overhead lights. Instead, light many candles to create a relaxing and elegant setting that you and your guests will love. Selecting unique decorations is the best way to really reinvent your holiday decorating routine. This is especially true if you are feeling bored with your old decorations. Finding something new and uncommon can really reinvigorate your level of inspiration. An even better idea is to make your own, which creates decorations that no one else will have. Designer Todd Klein has used silk flowers and even silk pincushions to create ornaments that are truly one-of-a-kind. The scents of the holiday season can also contribute to a perfect holiday atmosphere in your home. If you have natural elements such as decorations in your home, like a real tree, wreaths or garlands, you likely have a good start toward making your home smell like the holidays. Lindsey Harper recommends boiling sliced orange with cloves to make your whole home smell like Christmastime. 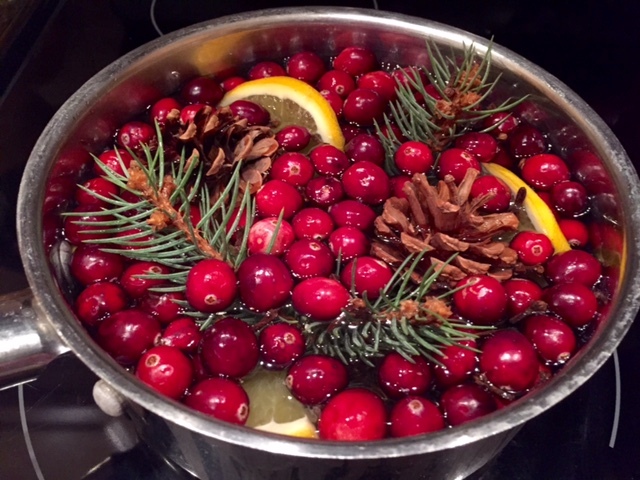 Other holiday scents could include cranberries, cinnamon, and vanilla. 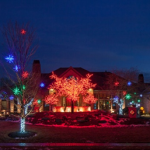 For more information about Holiday Decorating, please visit Mosaik Homes.